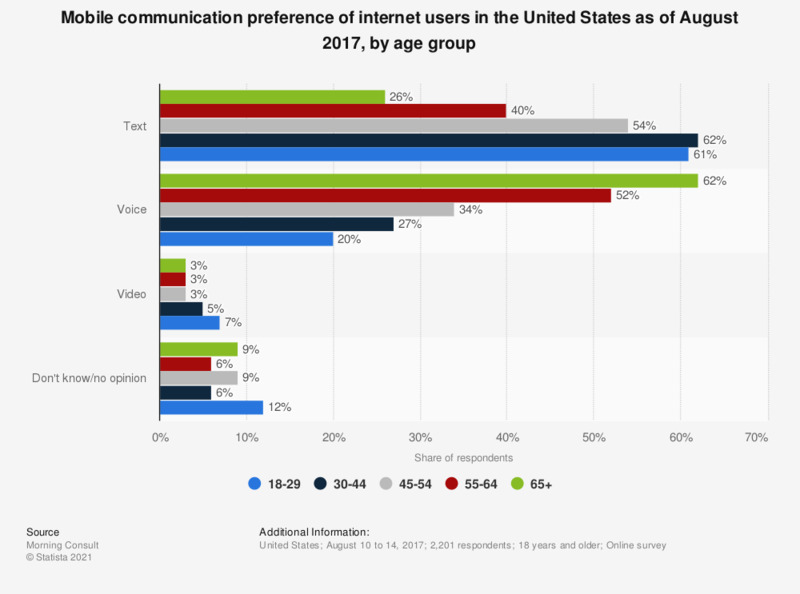 This statistic ranks the most common mobile communication preference of internet users in the United States as of August 2017, sorted by age group. During the survey period, 62 percent of respondents aged 30 to 44 years stated that they preferred to communicate with others using text. Only 26 percent of respondents who were older than 65 years stated the same.